In addition to offering resource-efficient and environmentally friendly heating, local district heating companies play an important role in Finland in strengthening the attractiveness of municipalities. 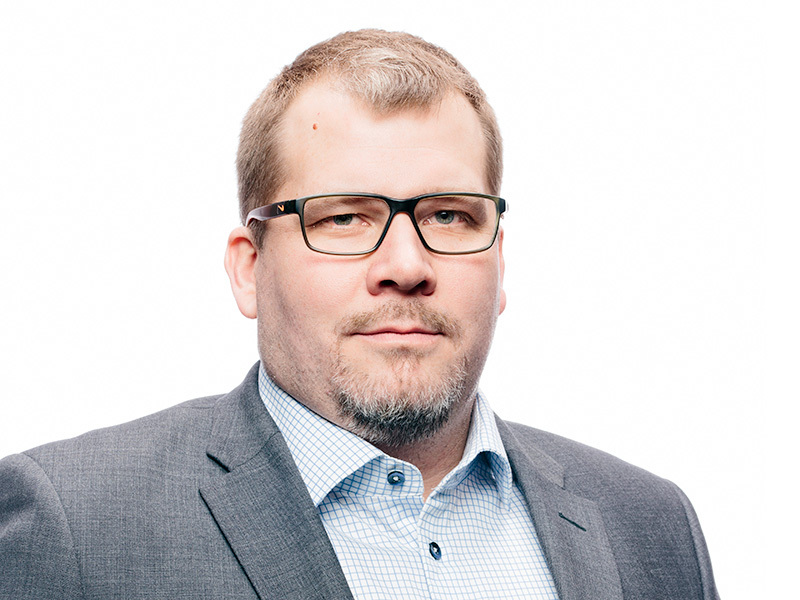 Vexve's long-time customer and partner, Kokemäen Lämpö, has contributed to the development of the region’s circular economy, created innovative production technology and attracted industry to the area. In Finland, district heating is an essential part of the environment-friendly urban energy infrastructure. The reliability of district heating is 99.98% and it is already heating 46% of Finnish homes according to a 2016 study by the Energy Industry Association. The role of district heating companies in Finland is not restricted just to energy production and distribution, but they also have a significant impact on the viability of the regions. 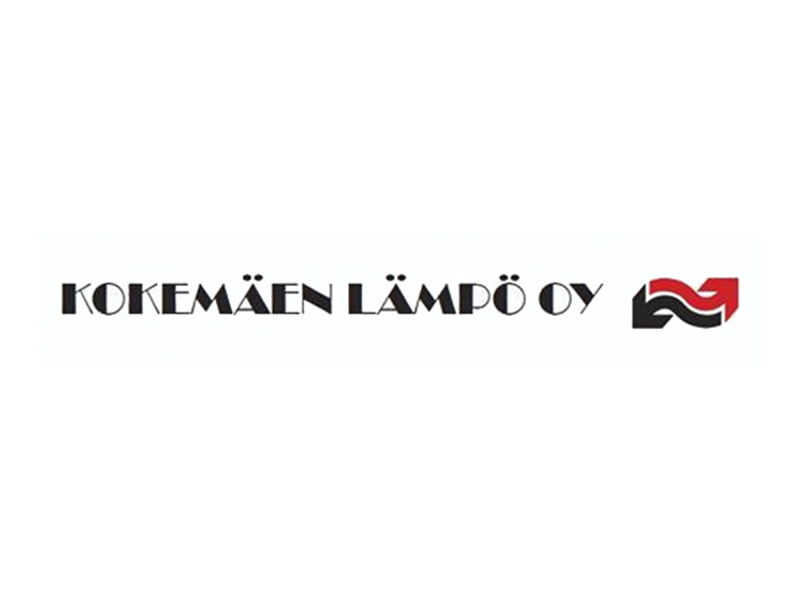 One such company is Kokemäen Lämpö, which for almost four decades has served local residents and businesses. The company, in western Finland, provides district heating production along with services related to fuel production, processing and storage. In addition, Kokemäen Lämpö has been developing innovative district heating production technology, supporting the region’s circular economy and making long-term efforts to attract industry to the area. Heat and expertise close by. The majority of Kokemäen Lämpö’s biofuel comes from neighbouring areas. Kokemäen Lämpö production manager Heikki Veko (left) and managing director Jukka Järvenpää (right). Kokemäen Lämpö generates district heating energy for Kokemäki's urban residents, business and industry, mainly utilizing domestic and local fuels efficiently and environmentally. The heart of the district heating plant is its own crusher, capable of crushing up to 100 tons of wood per hour. All combustible materials from the nearby area are freely accepted by the plant. In the spring, nearby residents bring up to 50 trailer loads of gardening waste per day to the energy plant’s yard. Kokemäen Lämpö also arranges free local pickup for at least 30m³ with its own equipment. Consequently, a significant part of the district heating company's fuel is wood recycled from the nearby area. Kokemäen Lämpö 's crusher Investment has paid itself back several times. Ten minutes of production provides the corresponding energy needs of a detached house for one year. Totally, Kokemäen Lämpö has 30 kilometers of its own district heating network. The company's energy production is handled by four biofuel boilers with a combined output of 25 MW. Three biofuel boilers are located at the main plant and the fourth at a potato flour factory. The company also has a biofuel terminal at its main facility, where wood is received in various forms. Wood materials are crushed, chipped and then dried for storage or directly burned. A process diagram showing the washing and recovery of flue gas at the main plant. The speciality of the central heating plant is a two-stage flue gas scrubber, where the latter stage is utilized in the plant's own fuel production. Thus, the flue gas temperature can be lowered to about 40 degrees and in winter even closer to 20 degrees when the glycolic circuit return is sometimes below zero. Glycol from the latter stage is circulated to the in-house built fuel dryer fan. This way, the fuel from the crusher is immediately dried to optimum moisture content (≤25%), which protects the fuel for longer storage despite the weather. As a result, the fuel does not carry extra weight to later stages of production and is immediately ready for burning if needed. In this case, it also returns good efficiency. In solid fuel boilers, 70% of disturbances are usually associated with wet or frozen fuel. Thanks to the two-stage flue gas scrubber, Kokemäen Lämpö has virtually no fuel-related disturbances in their transport lines. Kokemäen Lämpö’s fourth biofuel boiler is situated at the Finnamyl potato starch factory. The company manufactures, packs and sells potato starch to the food and paper industry. Finnamyl Oy was established in 1999, but the factory has been operating at Kokemäki since 1942. Cooperation with Kokemäen Lämpö has played a significant role in the development and expansion of Finnamyl's operations. In 2014, a multipurpose energy plant was built in the potato plant, producing district and low-grade heat, hot water, hot oil and steam. Circular economy thinking is also reflected in the new biofuelled plant, as the potato plant boiler (as well as one of the main boilers) was purchased second hand. Necessary heating boiler refurbishment was made by KPA Unicon. However, for example, some of the plant valves are still the original Vexve valves. High-quality products serve heat plants well, throughout their life cycle and beyond. Kokemäen Lämpö production manager Heikki Veko and Vexve product manager Pertti Kulma examining Vexve balancing and ball valves in the multipurpose plant, some of which are 30 years old. Part of the district heat generated by the multipurpose plant is directed to the district heating network of Kokemäen Lämpö, but most of the energy produced by the plant is used in Finnamyl's production processes. Ensuring steam energy was particularly important for Finnamyl's production. 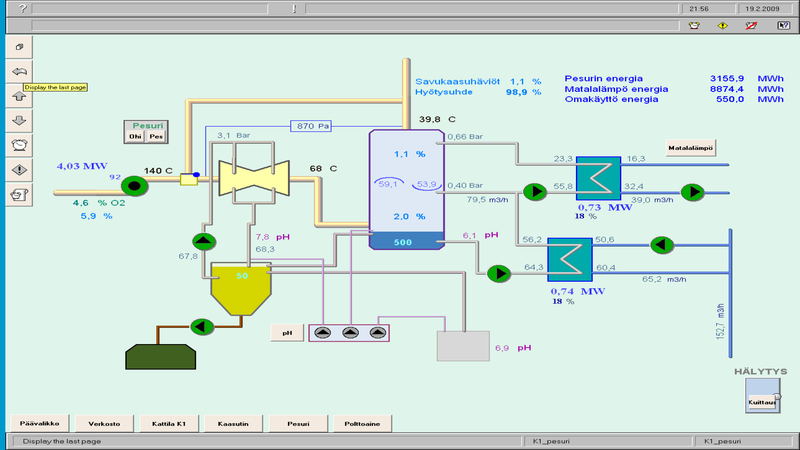 Technical consultants AX-Prosessit helped in particular with the design of steam and hot oil production. Steam is made in the plant with hot oil and is produced by a Vahterus heat exchanger and solid fuel boiler. There are two spare power units (KW-Set) in the plant, one for the Finnamyl processes alone. The development of the multipurpose plant in the potato starch factory will continue. Changes are planned for both the main plant and the potato factory flue gas scrubbers to recover the last remnants of energy from flue gases. These changes are also going to be carried out with circular economy thinking in mind.